﻿ Ronaldo: "We're ready for Atletico Madrid and we're going for the win"
01.03.2014 » Ronaldo: "We're ready for Atletico and we're going for the win"
Cristiano Ronaldo will make his return to La Liga this Sunday, in another exciting derby at the Vicente Calderón between Atletico Madrid and Real Madrid. Right after having helped the Merengues crushing Schalke in the Champions League, Ronaldo anticipated this weekend's fixture and revealed he has high hopes of coming out of their rivals' home ground with the 3 points in the bag. 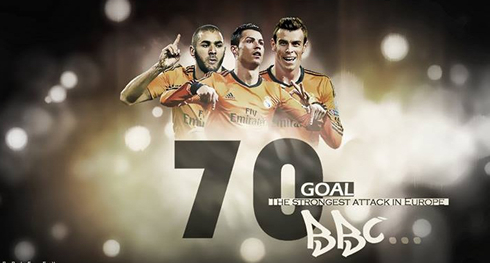 It's basically been an almost perfect year so far for both Cristiano Ronaldo and Real Madrid. The Merengues won 14 of their 15 fixtures played since the beginning of January, while Cristiano Ronaldo won the FIFA Ballon d'Or last January and seems to be stepping into March without any signs of fatigue. This can be extremely important not only if we look at it in terms of Real Madrid achieving their objectives and getting all the possible silverware by May, but also for the Portugal National Team epic journey that is waiting for them at the upcoming FIFA World Cup, set to take place during the next months of June and July. That last target might actually be the hardest to accomplish though, since at this point, Portugal can't exactly be seen as favorites to even reach the 2014 FIFA World Cup final. Nevertheless, Cristiano Ronaldo assumes he feels extremely well right now and that he's looking forward for the Atletico Madrid vs Real Madrid league clash, scheduled for this Sunday afternoon. The mid-week showdown in Germany has definitely allowed Real Madrid to earn an extra boost of confidence for what's left in the season. Many football pundits claim that the 1-6 away win against Schalke 04 was in fact the best performance from Carlo Ancelotti's men since the Italian manager took charge in June of 2013. The Merengues couldn't have asked for a better kickoff of the year than this, as they are already qualified for the Copa del Rey's final where they'll face Barcelona, leading La Liga 3 points clear of their biggest rivals and are virtually through into the UEFA Champions League quarter-finals. The team's main player, Cristiano Ronaldo, has spoken a few words about the impressive display against Schalke and clearly made an effort to outline that all his teammates are equally important in the team's recent success. Ronaldo: "I'm not sure if this has been our best game of the season so far, but we did play very well. The thing is, we've already performed very well in other games this season, so it's hard to say." Cristiano Ronaldo: "Those 6 goals we scored have allowed us to give a giant step further and towards the competition's next round, and we're extremely happy because of that. Everyone in the team played so well, and I'm not referring only to those who played in the attack. 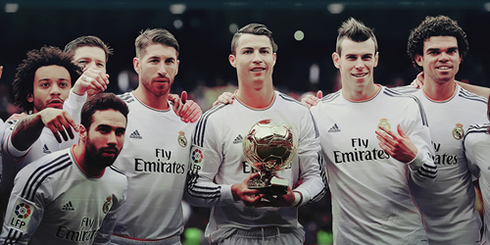 The whole team was perfect, including Iker Casillas and the entire defense. The upfront men have just done their job...", curiously remarked Ronaldo. Before this Champions League fixture, Ronaldo had been absent for almost two straight weeks, due to a league ban he has been forced to serve. 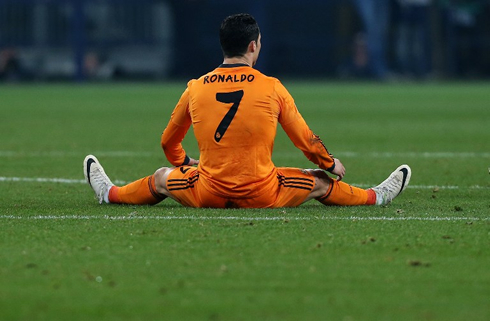 Even though this suspension may have allowed him to rest during an important stage of the season, the Portuguese forward confessed he felt frustrated for not being able to help his teammates, as well as for the way the whole process was conducted. Cristiano Ronaldo: "I'm happy for returning to the pitches and to help the team reaching their objectives. I was frustrated for not being allowed to play, as I didn't think I deserved that sort of ban", stated the 29-year old forward, who had to serve a 3-game suspension in La Liga, after being shown a red card during a Real Madrid 1-1 away draw against Athletic Bilbao, on February 2. The Spanish League will go through a critical fixture this weekend, as Atletico Madrid and Real Madrid are set to clash against each other in the Calderón, on Sunday evening. Cristiano Ronaldo is expected to line-up next to Gareth Bale and Karim Benzema once again, as Ancelotti will most likely rely on his powerful BBC partnership to strike a huge blow in Atletico's aspirations of still winning La Liga this season. 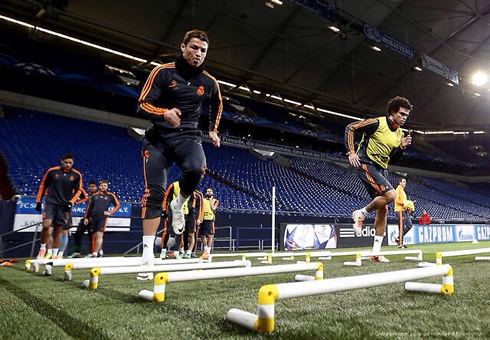 Ronaldo: "We are extremely motivated right now. We play for Real Madrid and we're going to the Vicente Calderón with only one intent, and that is to bring the 3 points home", pointed out categorically La Liga's top goalscorer this season, with 22 goals scored throughout the 25 fixtures already already so far. 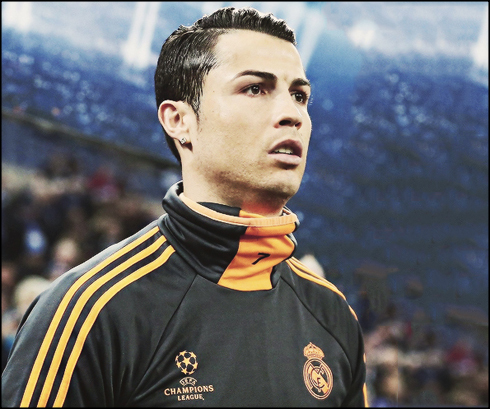 Cristiano Ronaldo next game for Real Madrid will be against Atletico Madrid in La Liga, on March 2 of 2014. You can watch Juventus live stream, Atletico Madrid vs Real Madrid live, Barcelona vs Almeria, Fulham vs Chelsea and Stoke vs Arsenal, all games provided from our football streaming section.